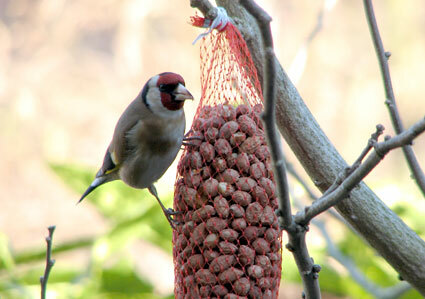 Last week we saw a new bird in our backyard: a Goldfinch (‘Putter’ or ‘Distelvink’ in Dutch). 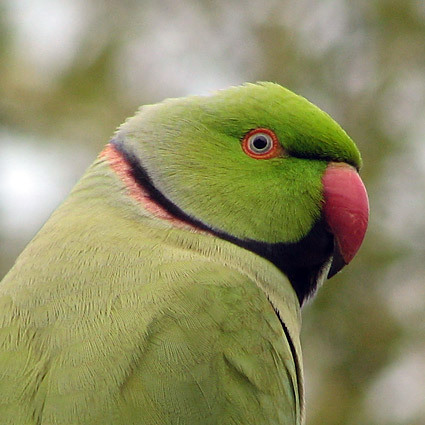 It isn’t a rare bird at all, but we never saw one before in our own backyard. 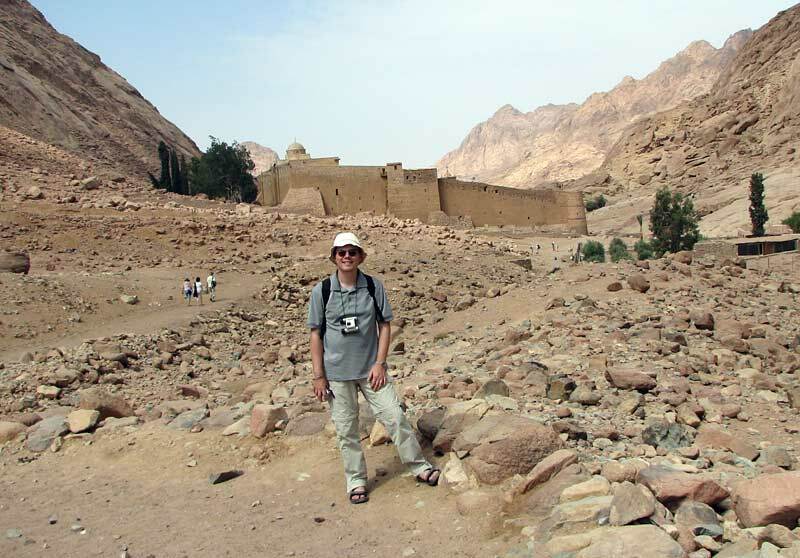 Yesterday we visited the sewage plant North East of Sharm El Sheikh in Egypt to look for birds. We had a very hard time getting there as our taxi driver didn’t speak English (see the directions below), but the visit was well worth all the trouble. 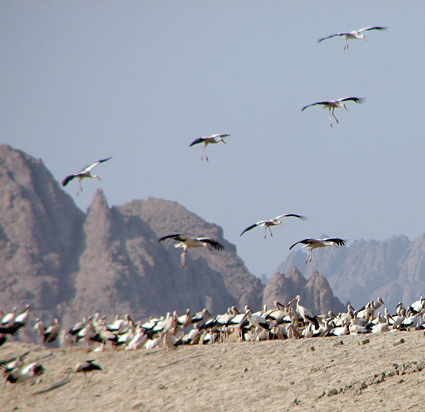 We saw many birds, including thousands of White Storks! 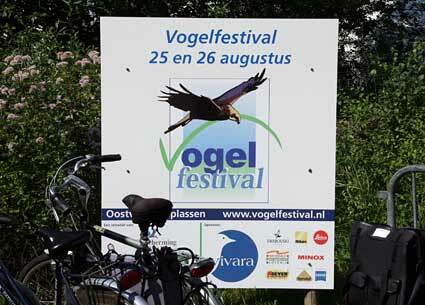 Yesterday we visited the annual Vogelfestival (“Bird Fair”), organised by the Dutch State Forestry, SOVON and Vogelbescherming Nederland, the Dutch partner of BirdLife International. 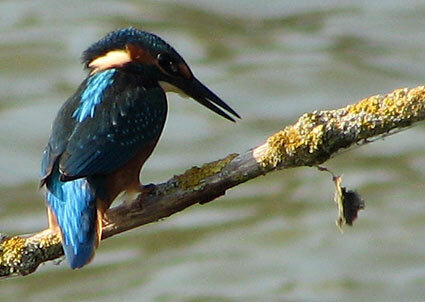 It is a major event for bird and birding enthusiasts and is modelled after the British Birdfair held in Rutland Water. The annual Dutch event has grown to include over 100 exhibitors and is attended by more than 15,000 visitors. The fair is held at the Oostvaardersplassen, an important nature reserve (see also our visit there in March 2007). On Saturday we visited Waverhoek and Botshol, north of Utrecht, for a ranger-led boat excursion by Natuurmonumenten. We arrived about an hour early for the boat excursion, which left from number 2 on the map below, so we drove on left a little bit and came across a new nature reserve of Natuurmonumenten that just opened to the public on 30 June 2007, Waverhoek at number 1 on the map below. 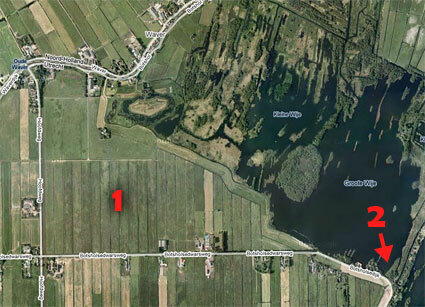 Until recently this triangular area was just farmland, as you can still see on this map, but they flooded the area to make a wetlands for birds.